An understated, nicely designed "Greetings from" postcard from the cantonment in Jubbulpur in the Central Indian state of Madhya Pradesh. The insignia suggests it was published for or celebrated the Royal Field Artillery (RFA) then based here. 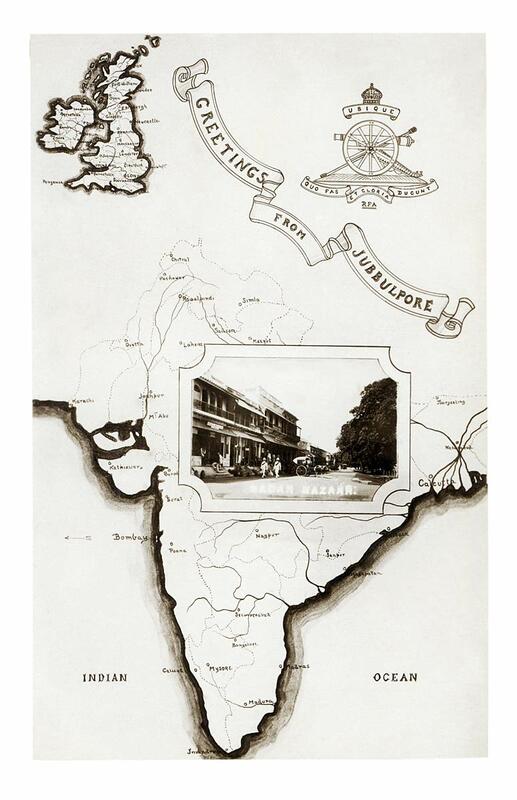 The way the main bazaar image is incorporated into the map, with the rounded corners, and the British Isles shown in the top left, and the scrolled title cutting across the top show how deftly composed such cards could be.